and ready to ship today! 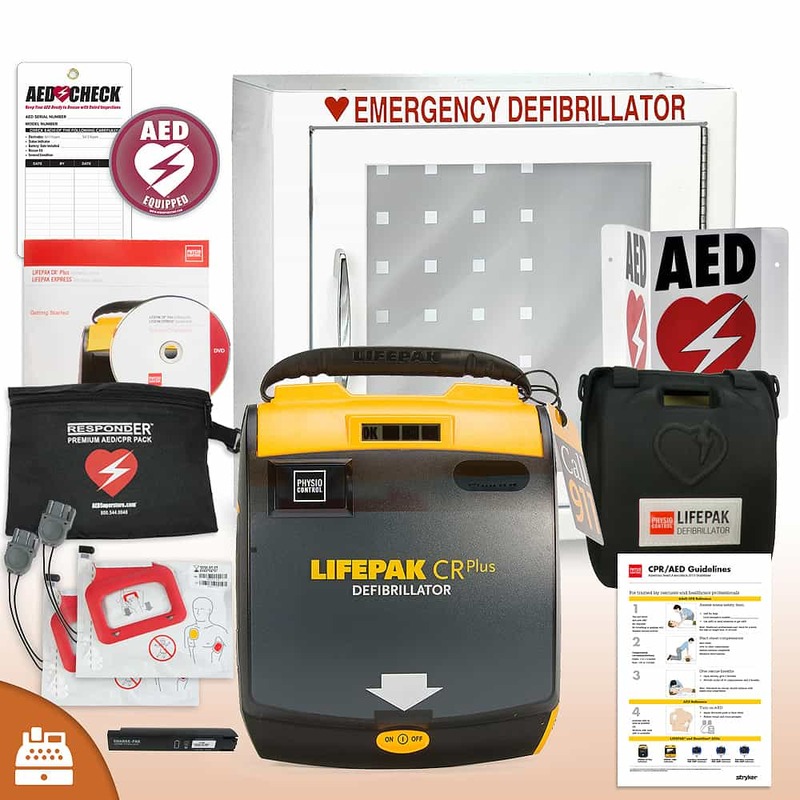 Physio-Control LIFEPAK CR® Plus - includes two sets of adult electrode pads, battery, carry case, and quick reference card. 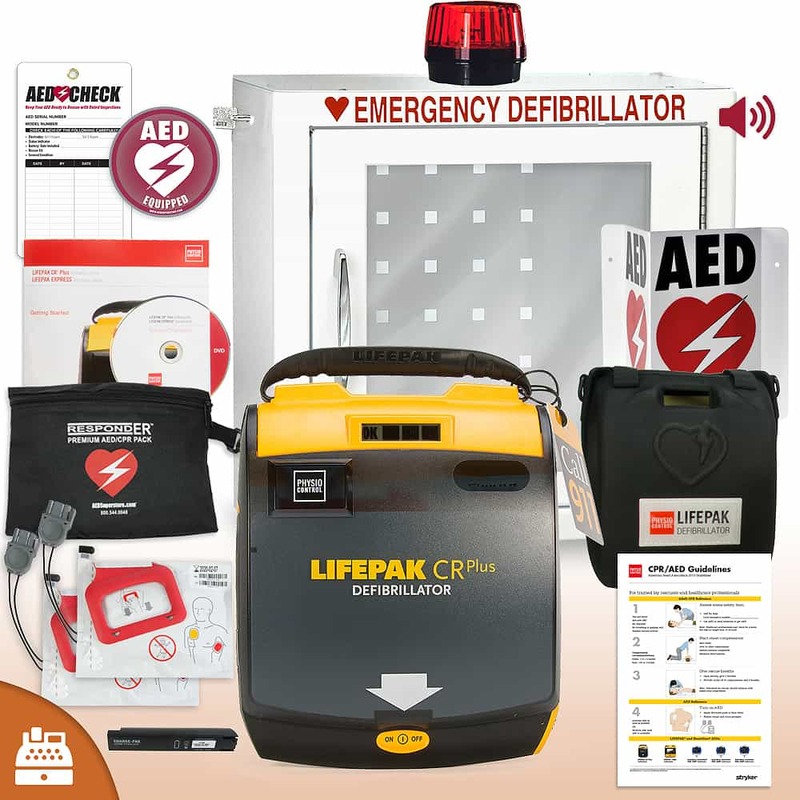 AED & CPR Guidelines Reference Poster - Perfect for wall mounting near an AED. The AED itself is very easy to use and looks great with the case. I was very happy with the clip on bag containing the cpr mask and supplies needed for deployment. The small business package was a great value, installs easily and looks fantastic.